This morning I went to my favorite place Wal-Mart to go grocery shopping. I planned out a whole weeks worth of meals with some extra's in there like breakfast and lunches as well. I paid only $55.16 for seven total meals for the week. I thought that I did pretty well. I got all the groceries at $1.83 each. 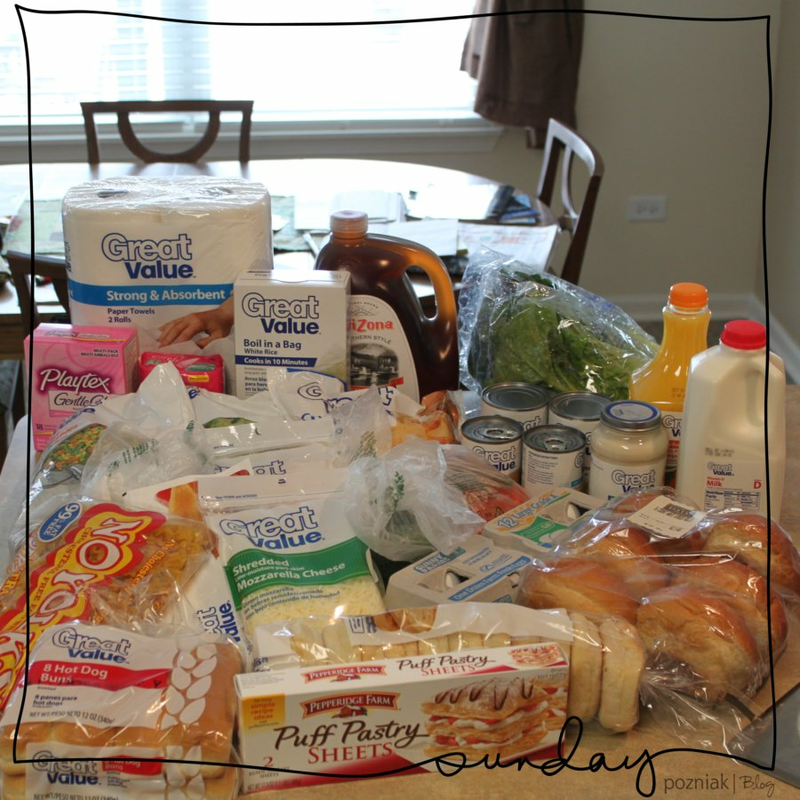 So here is what all I bought and what $55.16 looks like in groceries. I also was able to clean the house too. I am now bored and do not know what to do with myself so I might do some baking or something. Jon is now home from hunting empty handed. Today was the last day to go hunting. Oh well, at least he tried. I think that next season he will have to find somewhere closer to home to go hunting. Well off to go and bake... Hope everyone is having a great Sunday!